Approximately 30% of women choose Tubal Ligation when they are done having kids. However, things change, and it’s not uncommon for women to want to more children after a Tubal Ligation. Women who have had Tubal Ligations have two options if they want to conceive again. These are in-vitro fertilization and Tubal Reversal surgery. 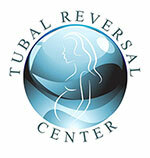 Tubal Reversal with Dr. Morice is your best choice for conception after a Tubal Ligation. Below is a chart to help you compare the two options. Medications Anesthesia during procedure. Voluntary pain medicine after procedure. Daily hormone injection required. Risk of Multiples No known risk Approximately 30% higher with IVF treatment. *Success rates vary with age. Though all patients are different, Tubal Ligation Reversal is often the better option for our patients. It is more affordable, has higher success rates, lower risk of multiples, less medication, and a one-time procedure. If you have any questions about IVF compared to Tubal Reversal surgery, contact our office. We are here to help!